Merry Christmas everyone! I haven’t posted in a while just too busy. 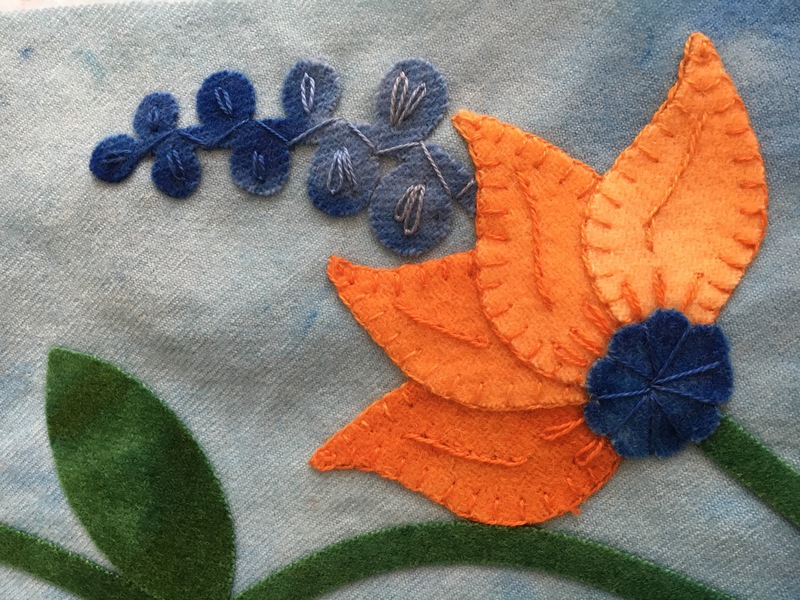 I open my Studio once a month to local wool Applique lovers and offer a free Make ‘n Take. 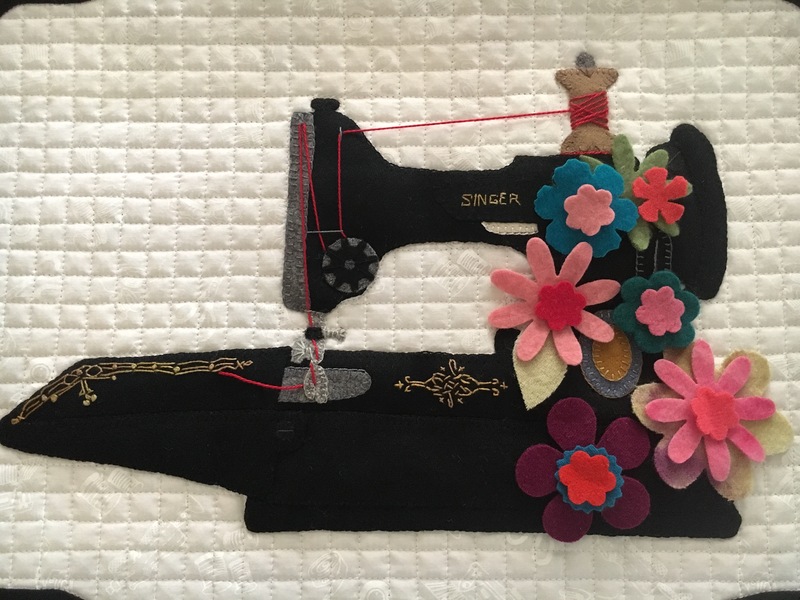 It’s my way of giving back and let’s me share my love of Sizzix! Our December project was a surprise. Stitchers received the Snow Bunny and plaid Background. I had two samples, but I love to see each individuals take on the project. 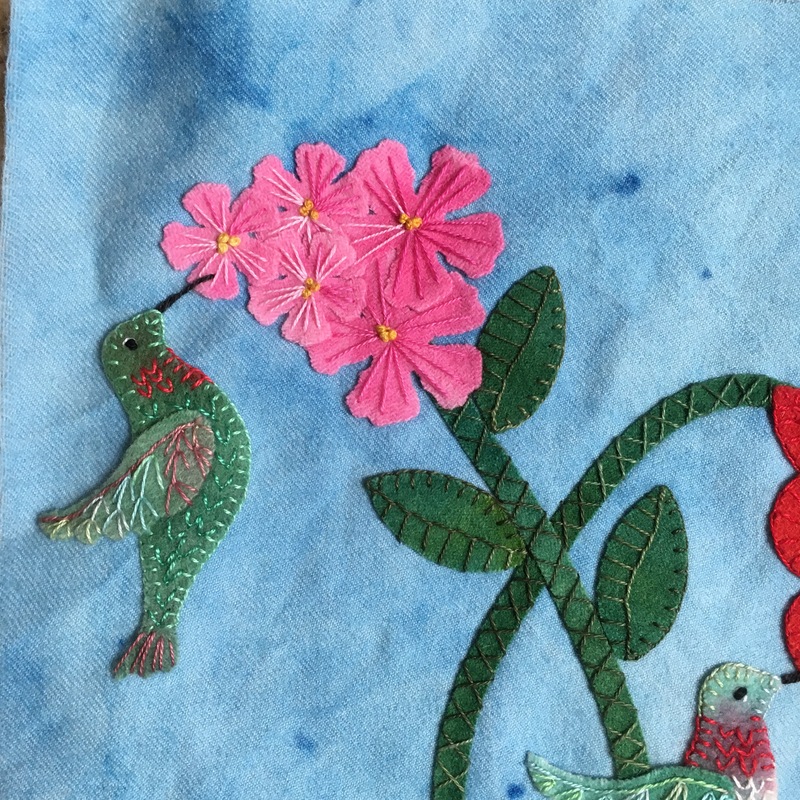 One stitcher has shared her fabulous finish, don’t you love Angela’s Pillow? 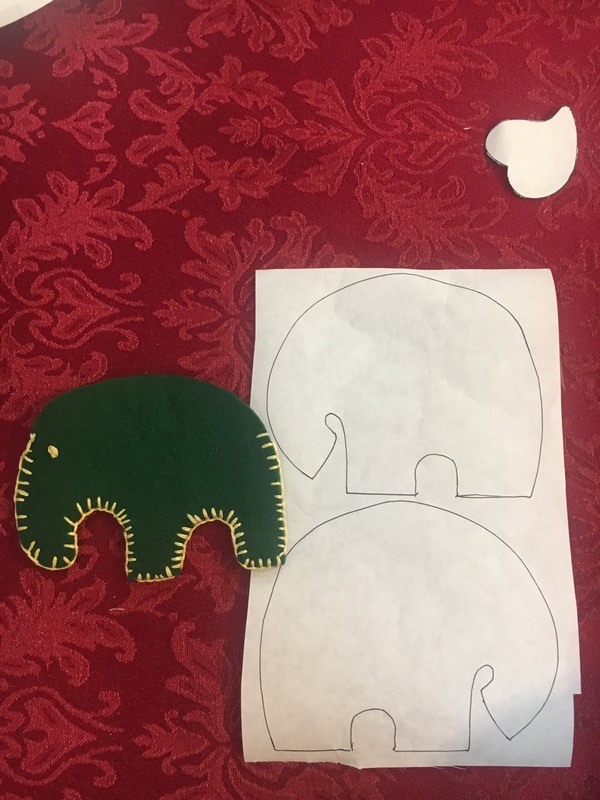 You will see a few photos of Stitching in progress, but I’d like you to see the paper die cut and the ‘waste’. 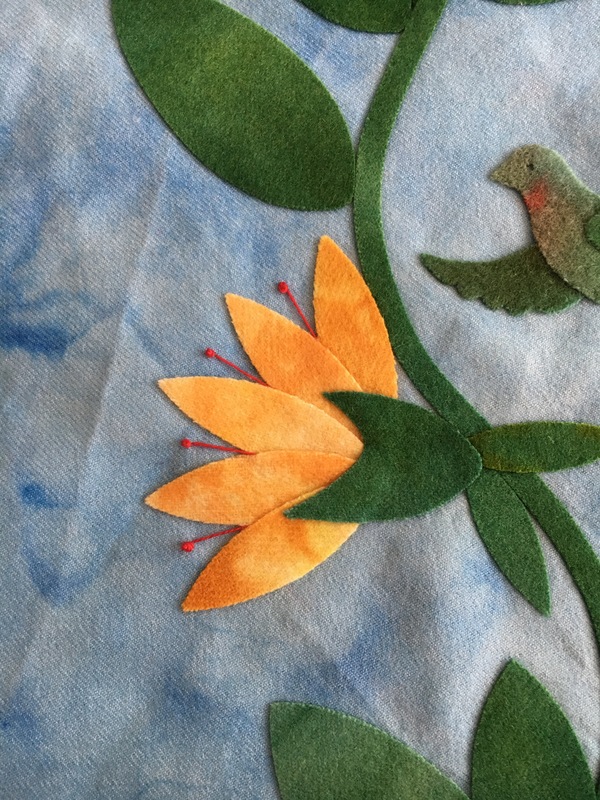 Die cutters often are asked “doesn’t die cutting waste a lot of fabric?” To me waste is in the eye of the beholder! From the Snow Bunny ‘waste’ we scissor cut two additional paws, a snowdrift, and the potential of some trees if desired. 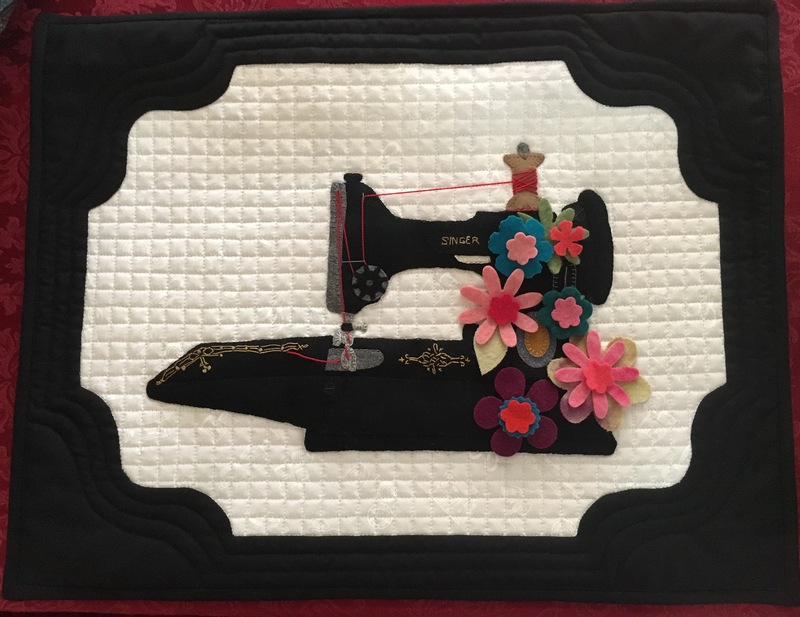 The technique for the Button Snowflakes (not die cut) can be found on a tutorial by Bonnie Sullivan published by Martingale. 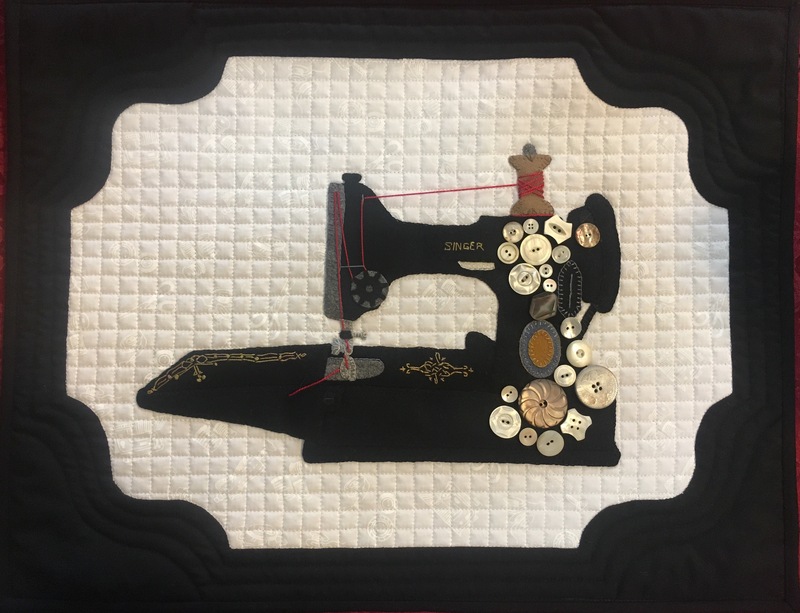 Isn’t this Quilt of Valor amazing? 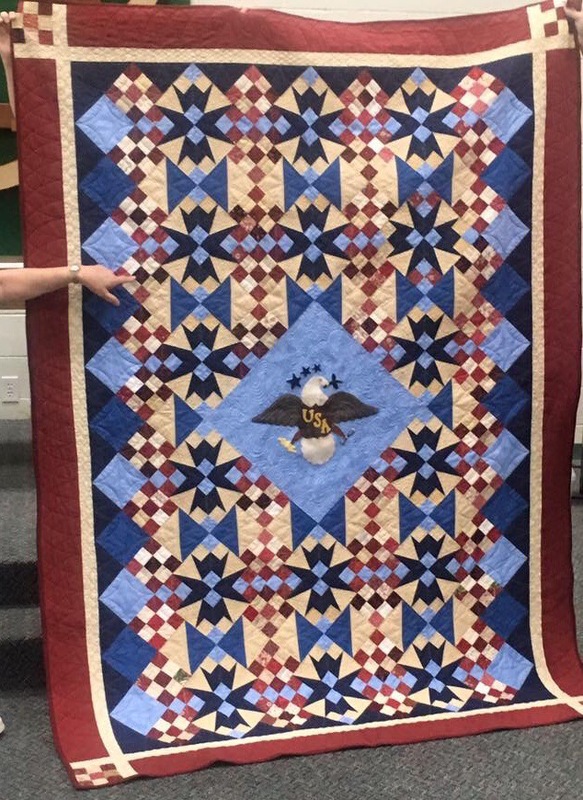 A huge shout out to Judy Daymont who graciously accepted the donated Eagle kit and combined it with her masterful Pieced design. I am blown away. 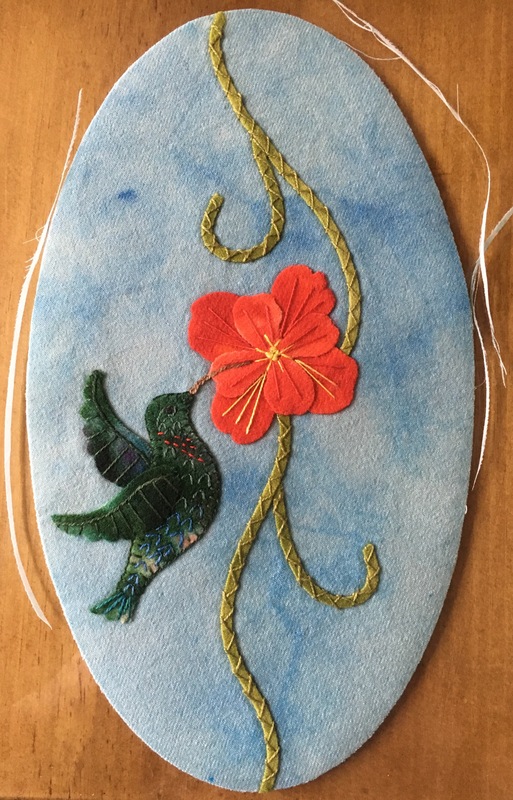 PS the Eagle kit was Judy’s first wool Appliqué project! Wow! Wow! Wow! — with Judy Daymont. 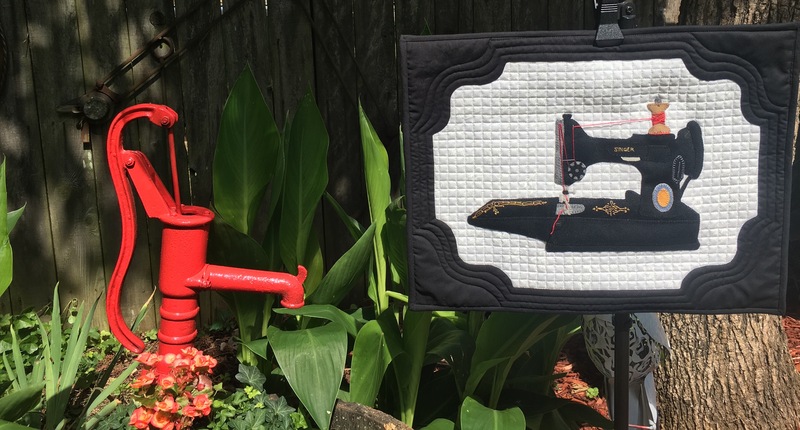 Thank you to Jeanie A for donating the Nine Patch blocks for this fabulous design. 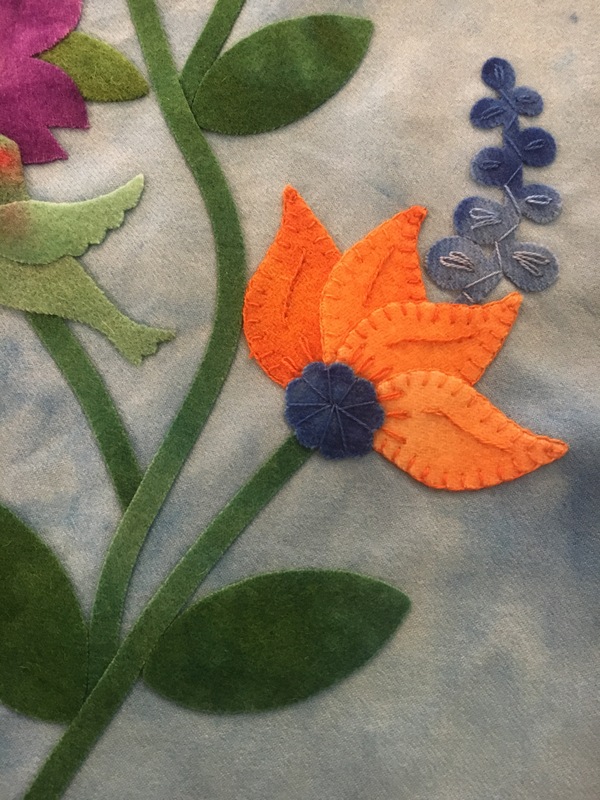 The wool Appliqué Eagle is Die Cut from recycled Felted wool using Elanor Burns Accuquilt GO Eagle with Sizzix embellishments all cut on my Sizzix BigShotPRO. 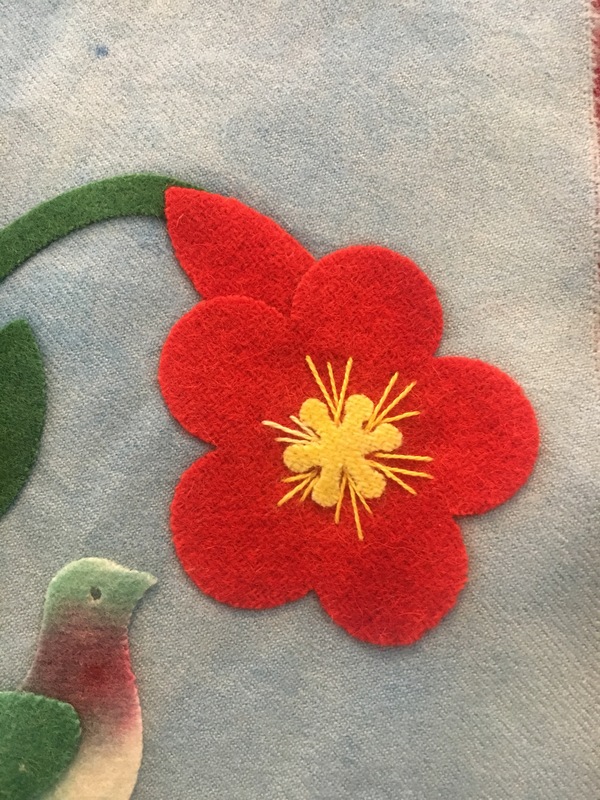 A little backstory…it is my habit to donate a wool Appliqué kit when I present my passion for wool Appliqué to organizations or when I vend a show. My small way of giving back. 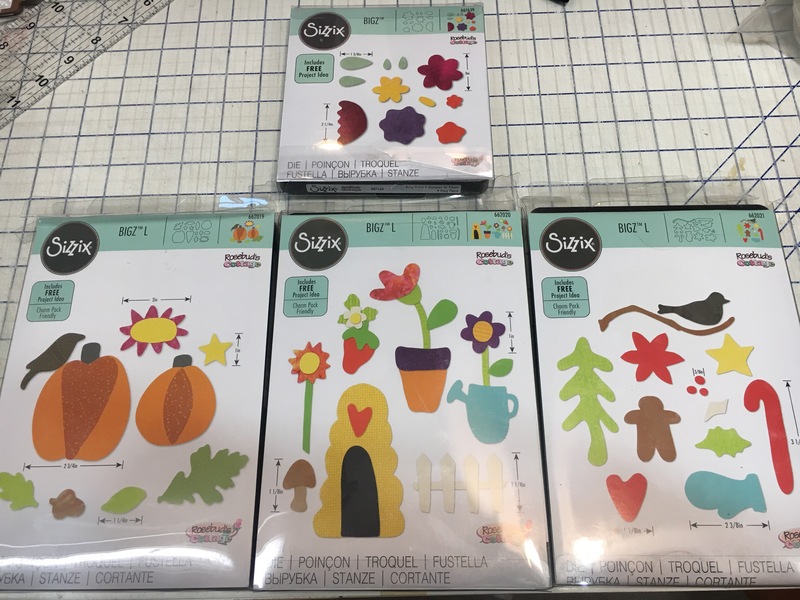 Can’t wait to design with these Dies! On Black Background by Gretchen C isn’t it stunning! 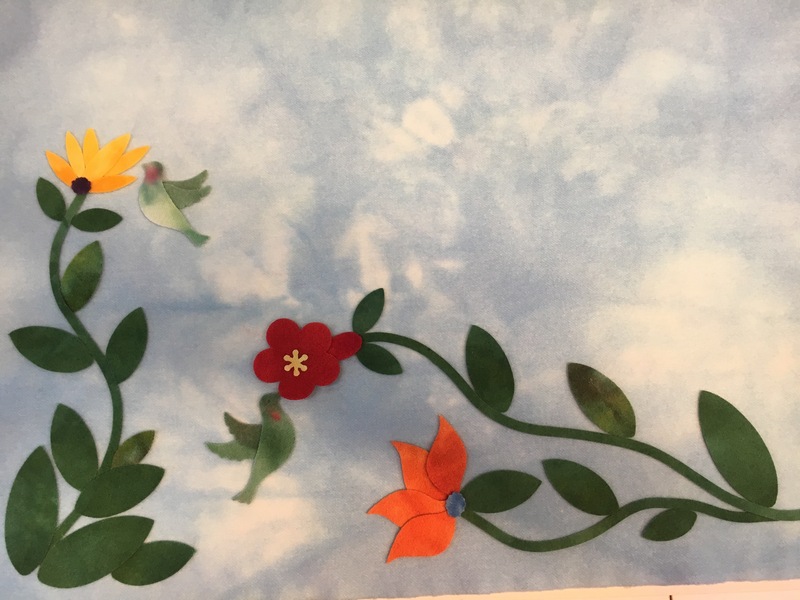 I have made progress on my Hummingbirds and Flowers Drsign. 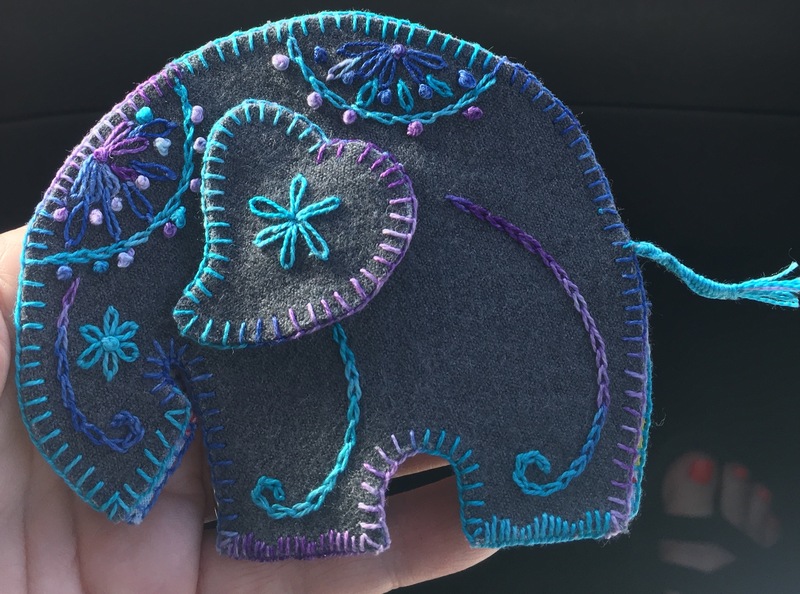 The kit inspiration is in the hands of the requesting stitcher Teddy in FL. The first few kits are sold! I need to re kit this one quickly as I already have requests! I hope you enjoy the photos. This will be a rather large Custom Kit request. The motifs are currently “auditioning” and are not yet fused in place. One of my most important tools in the Pretty Penny Precuts Studio is my IPhone! Snapping photos as I progress through a design allows me to correct things like placement and most importantly balance. This photo view allows you to step back from the design to see it in perspective. Note the heaviness in the corner placement as opposed to the placement of the horizontal motifs. Truly a design in progress but I am loving it! 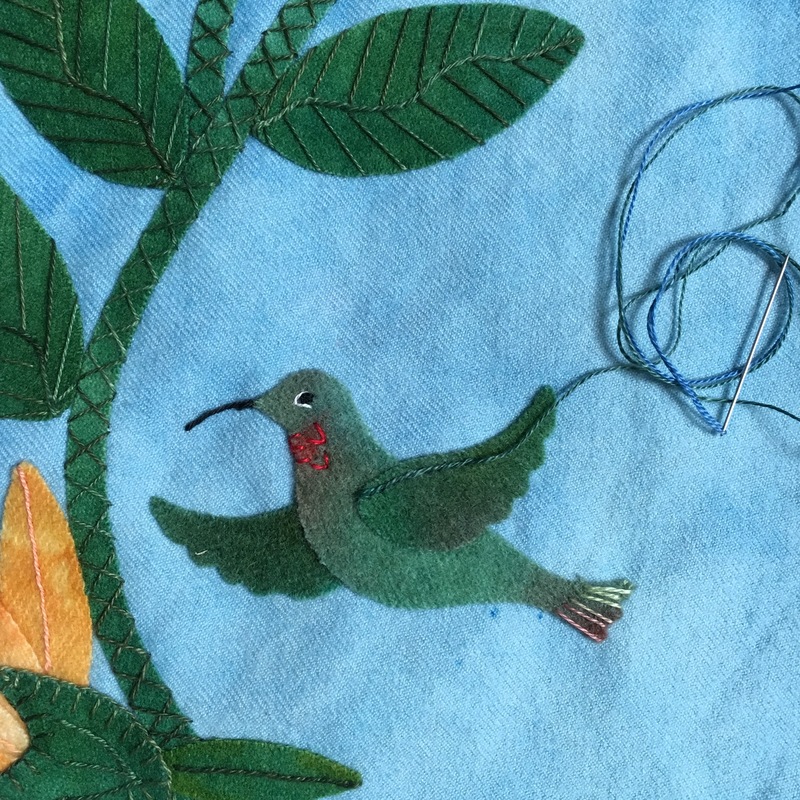 Here is a small sample stitch of the Hummingbird motif. 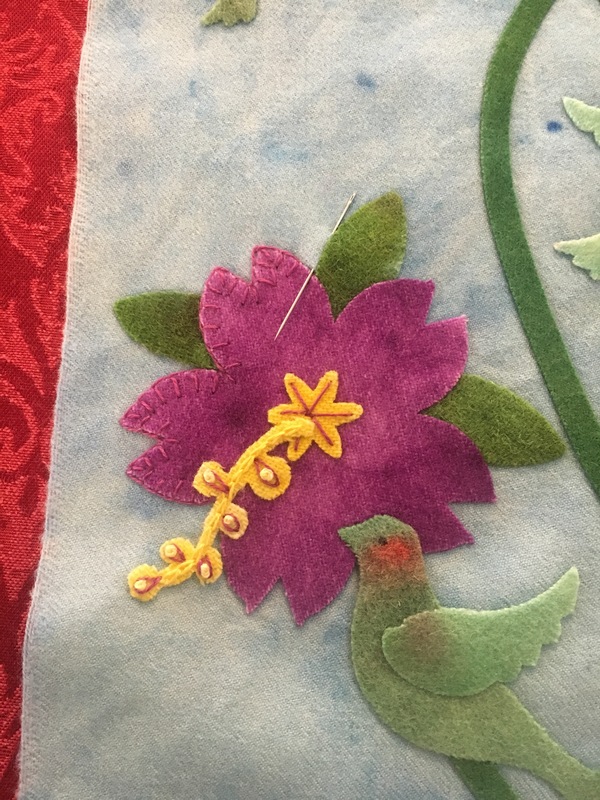 Doesn’t the stitching just bring the hummingbird and flower to life? 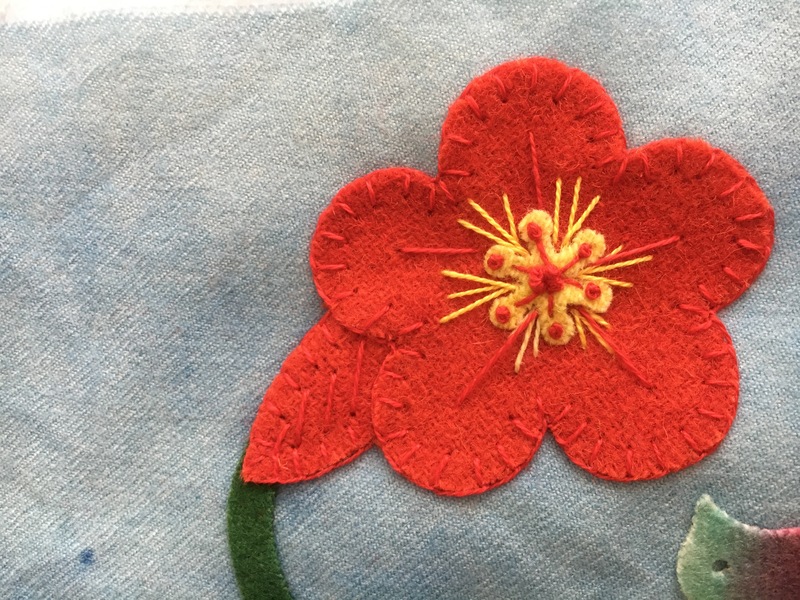 What was your very first stitching project? 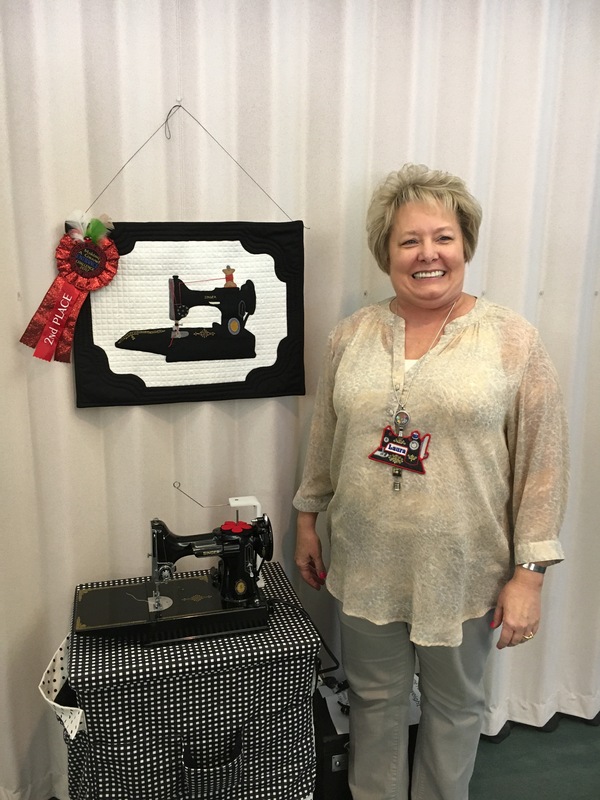 I have the pleasure of opening my Pretty Penny Precuts Studio to local stitchers each month. These lovely ladies keep me motivated to create our next project. Inspiration as you know can come from anywhere. 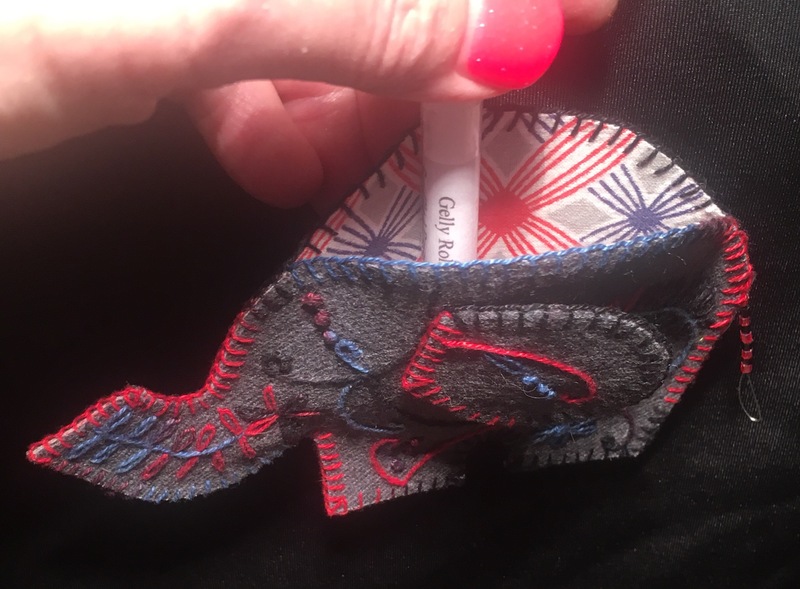 Our June Pretty Penny Precuts Open House Stitching Session project was inspired by Angela L and her childhood Elephant Needle Pocket. 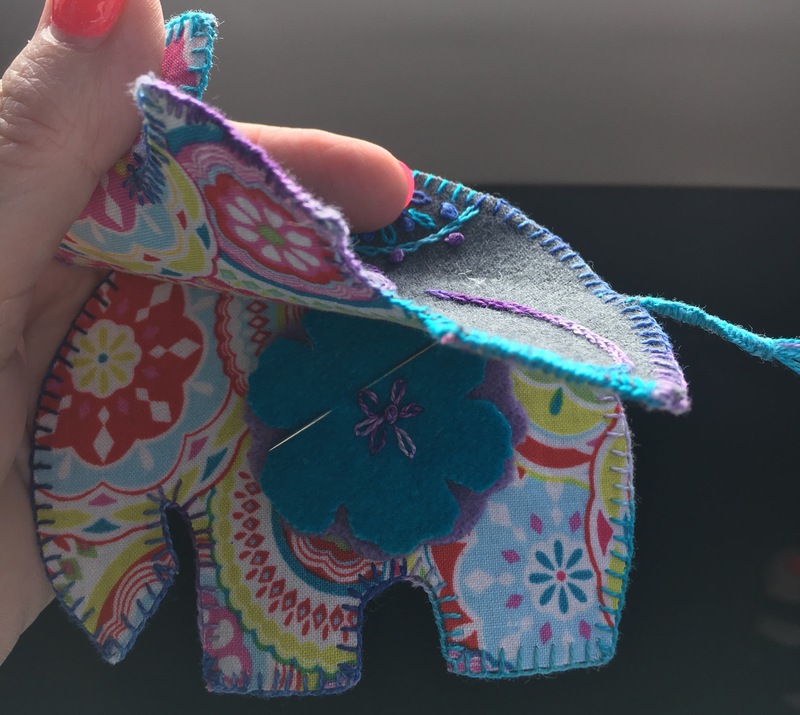 Isn’t Angela’s Elephant Needle Pocket adorable? 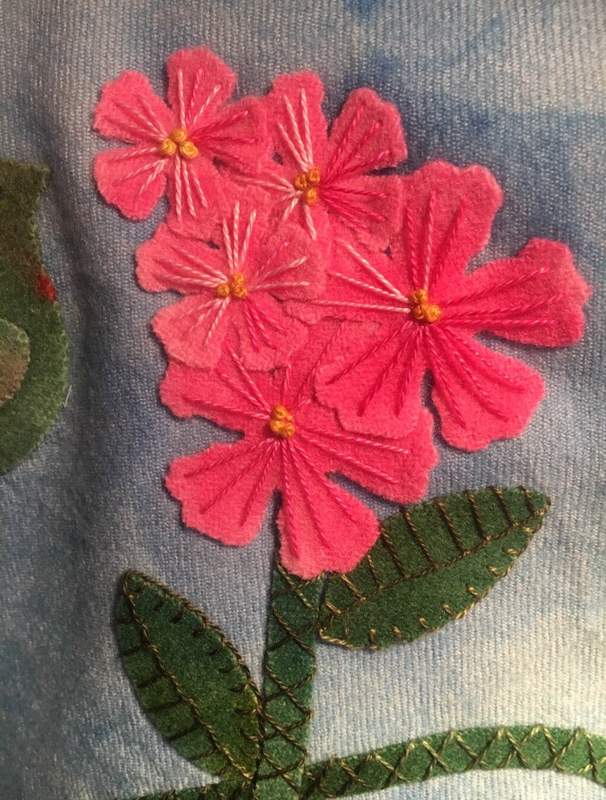 It’s more than 60 years old and is such a sweet example of childhood stitchery. 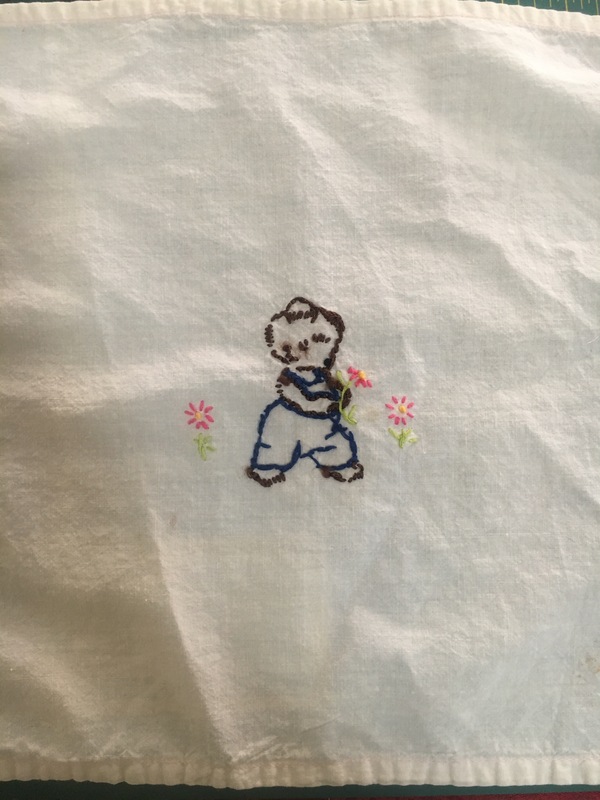 This is my first hand stitchery circa 1968. I think I used it like a little dresser scarf. 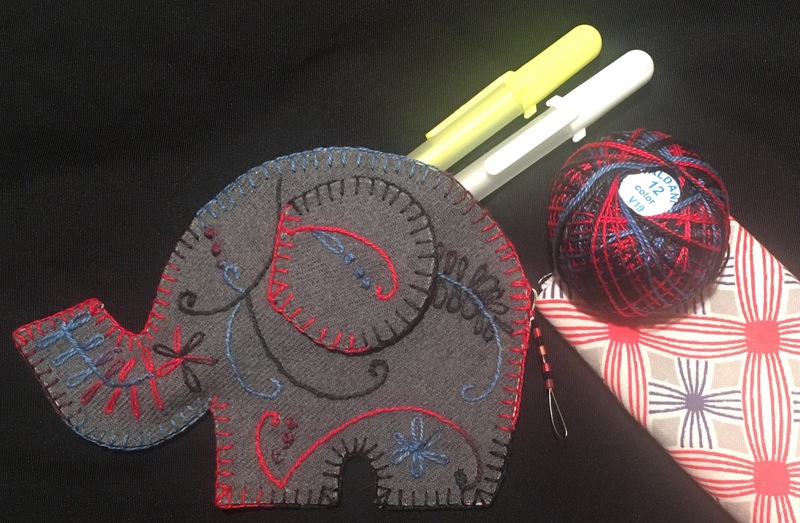 These are the updated projects inspired by Angela’s Elephant Needle Pocket. 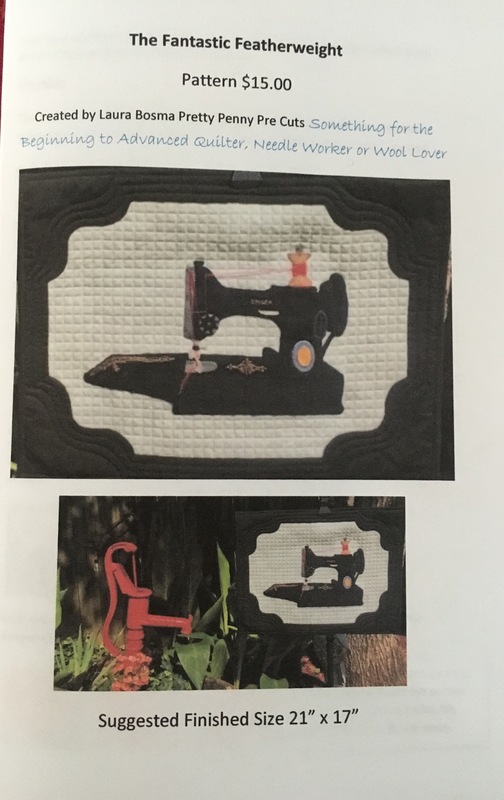 I created two versions a Needle Pocket and a Needle Book. 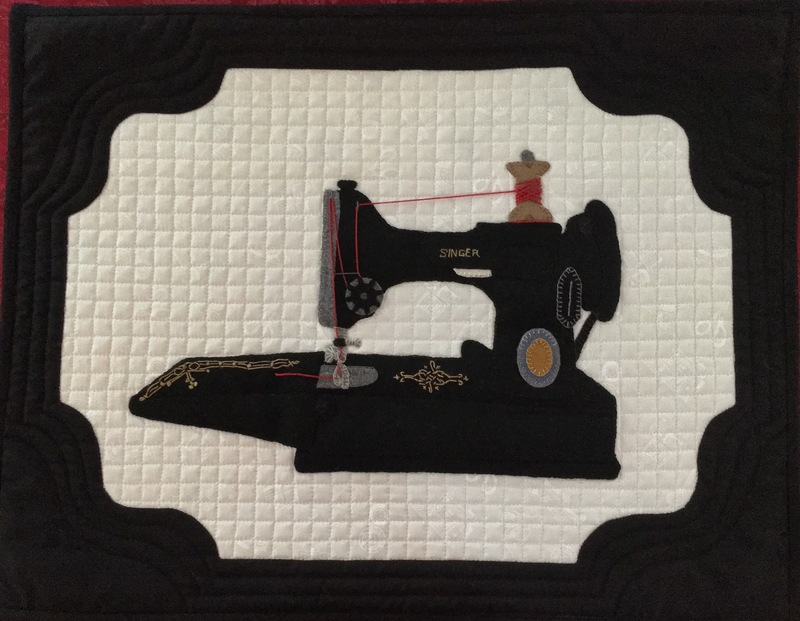 Why not stitch a memory real soon? 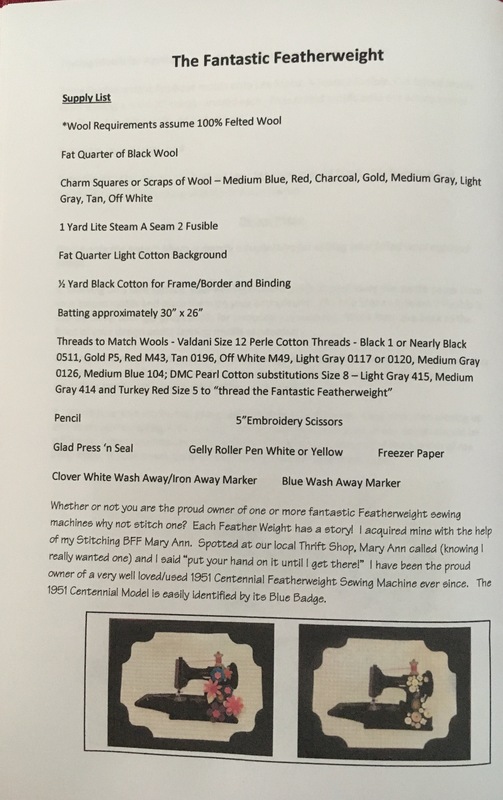 The Fantastic Featherweight Pattern is being printed! 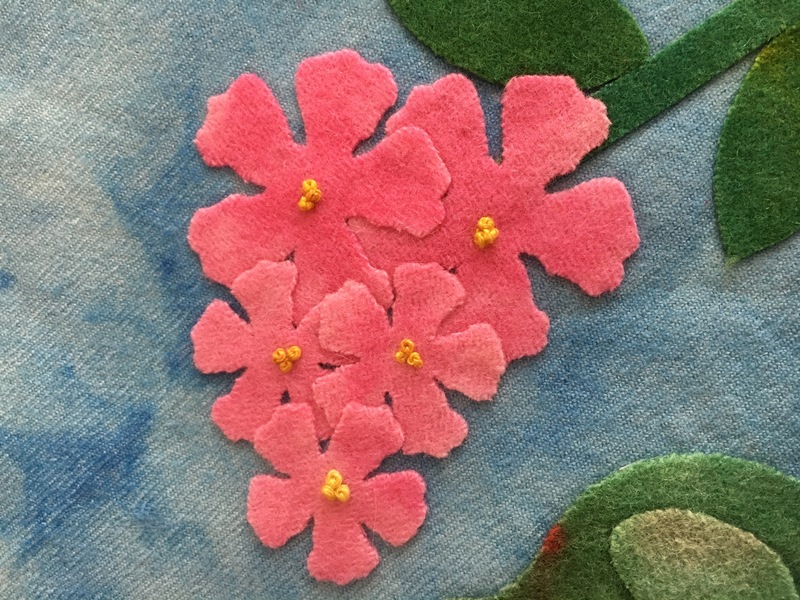 Order now on ETSY http://www.prettypennyprecuts.etsy.com or purchase in Studio at our June 13th Stitching Session. 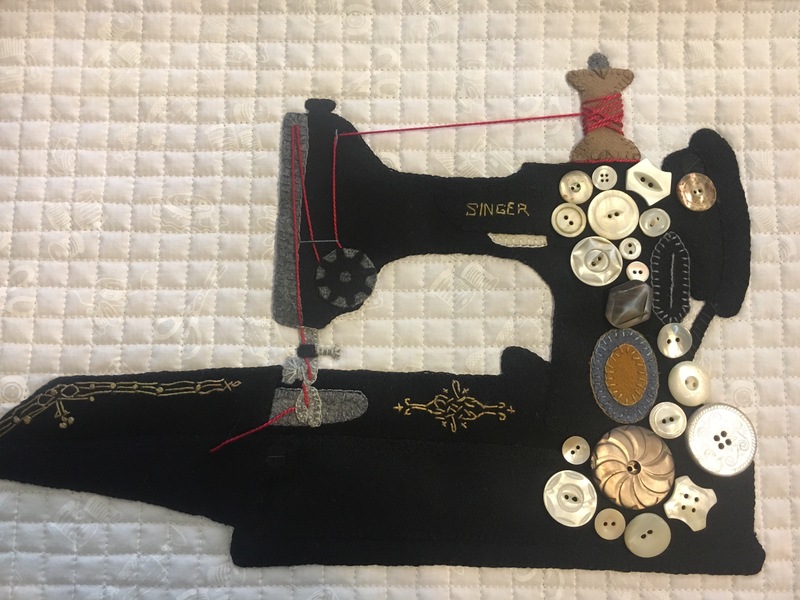 Whether you own one of these Fantastic Singer Featherweight machines or not, why not stitch one? 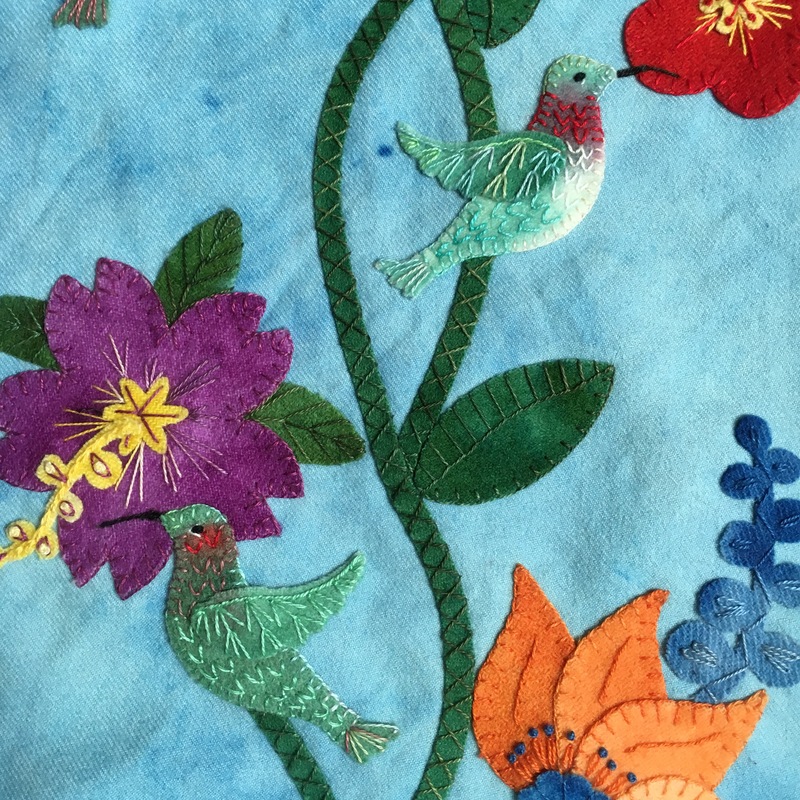 Felted Wool on Cotton this little quilt finished 21″ x 17″. What better way to display your passion!